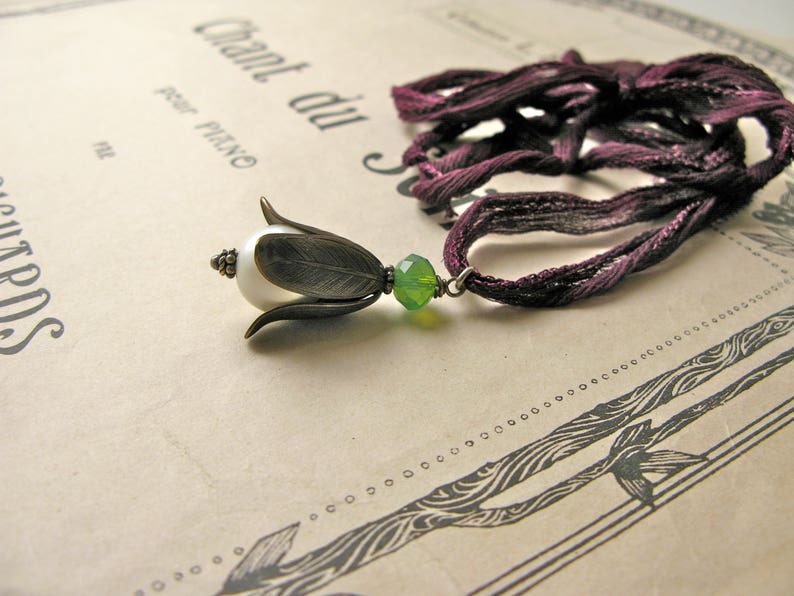 This art nouveau inspired little necklace features brass magnolia leaves hugging a vintage glass pearl with a powdery white coating, a green preciosa chrystal, small silver findings and a plum lilac 100cm silk ribbon. Length of pendant approx. 3 cm. Easy to wear long or short, made with love.